Prominent & Leading Manufacturer from Vapi, we offer flora vacuum flask 600 ml, konark insulated flask 1100 ml, parker vacuum flask 350 ml, pearl vacuum flask 1000 ml, princess vacuum flask 1000 ml and riva insulated flask 1100 ml. 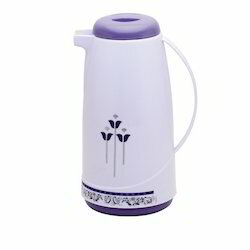 Within the short time period, we are engaged in presenting an excellent grade of Flora Vacuum Flask. Virgin plastic material and insulated steel is used for manufacturing the jug. High-end technology and appealing design is used during making of the flask. This flask is made available having 600 and 1100 ml capacities. 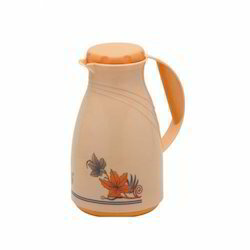 The offered jug has the fashionable and trending design that appeals users. Furthermore, clients can get the jug from us at industry leading rates. We are successfully ranked amongst the trustworthy entities offering a wide range of Konark Insulated Flask 1100 ML. The provided flask is manufactured using premium quality plastic material and latest techniques. Additionally, our provided flask is processed adhering to industry standards and quality norms. The offered flask is examined on set quality parameter in order to deliver better range to the clients. Also, this flask is made available in various colors, sizes and shapes. 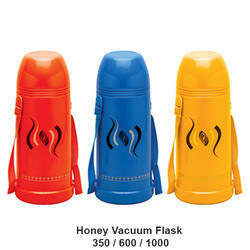 Besides, clients can avail the flask from us at cost effective rates. As a trust worthy organization of At his domain, we are committed to offer our clients a superior quality assortment of Parker Vacuum Flask 350 ml. The offered flask is designed and crafted using supreme grade virgin materials along with advanced techniques. 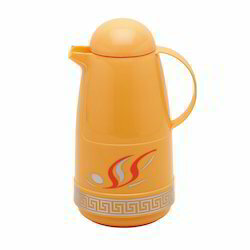 This flask is made available in various capacities such as 350, 600 and 1.1L. In order to develop such appealing and useful flask; our professionals have strictly adhered to industry standards and quality norms. As an affluent name of this domain, we hold expertise in presenting high quality Pearl Vacuum Flask 1000 ml. 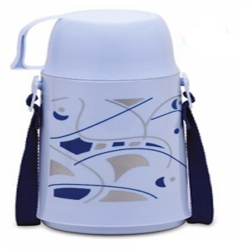 This flask is widely demanded due to its elegant look and high capacity, which is 600ml, and 1100ml. The provided flask is designed and manufactured by engineers using utmost grade virgin plastic materials, and steel inner with the help of cutting-edge techniques. The offered flask keeps the beverage hot for long hours. 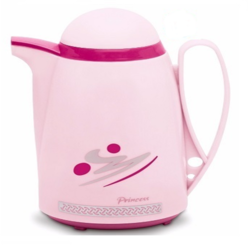 We feel proud to introduce ourselves as the leading organization in this domain, engaged in presenting an excellent grade of Princess Vacuum Flask 1000 ml. 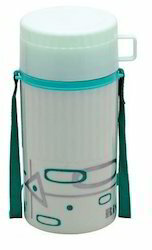 The offered flask is largely used in for carrying hot beverages. 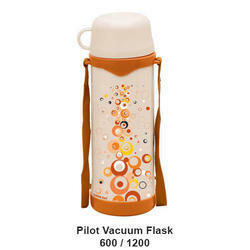 Travelers going on short journeys prefer using the flask due to its capacity, which is 600ml, 1100ml and 1500L. Provided flask is designed and manufactured by adroit professionals using premium grade virgin plastic with the help of sophisticated techniques. We have gathered a huge customer base in this domain by presenting a comprehensive range of Riva Insulated Flask 1100 ML. This flask is developed using virgin plastic, insulated steel inner and higher technologies. Our professionals opt for strict quality tests throughout the production of the flask to guarantee optimum performance. The provided flask is made accessible in different capacities such as 800ml, and 1100ml. Also, the provided flask is built for storing cool water. We are one of the leading manufacturer and supplier of Cherry Steel Flask. 750 ML. We obligated to meet the quality standards as per the industrial norms. As a trust worthy organization of At his domain, we are committed to offer our clients a superior quality assortment of Pilot Vacuum Flask 1000 ml. The offered flask is designed and crafted using supreme grade virgin materials along with advanced techniques. This flask is made available in various capacities such as 350, 600 and 1.1L. In order to develop such appealing and useful flask; our professionals have strictly adhered to industry standards and quality norms. 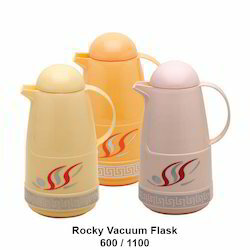 With phenomenal market understanding, we are able to introduce an extensive range of Rocky Vacuum Flask 600 ml. Virgin plastic material and insulated steel is used for manufacturing the flask. High-end technology and appealing design is used during making of the flask. This flask is made available in 600 and 1100 capacities. The offered flask has the fashionable and trending design that appeals users. Also, clients can get the flask from us at industry leading rates. As a trust worthy organization of At his domain, we are committed to offer our clients a superior quality assortment of Honey Vacuum Flask 500 ml. The offered flask is designed and crafted using supreme grade virgin materials along with advanced techniques. This flask is made available in various capacities such as 350, 600 and 1.1L. In order to develop such appealing and useful flask; our professionals have strictly adhered to industry standards and quality norms.